Dublin’s Sean McDermott Street is where one finds the Parish of Our Lady of Lourdes. It is not a popular district for tourists, so here there are no guidebook-recommended bars where one goes to drink a Guinness, or a precious local whiskey. But for those who have the habit of raising their elbow a little too much, perhaps it would be a good idea to come here. Nevertheless, Talbot, born in 1856, the second of 12 siblings, is already considered a patron of those struggling with alcoholism. Alcoholism then was a scourge in Ireland among poor families like the Talbots. And working as early as 12 years old, bottling beer, then unloading whiskey in the port, certainly did not help him. At 27, impoverished and ruined by vice, he vowed not to drink for three months. From that point forward, he didn’t touch alcohol for the rest of his life, dedicating himself entirely to prayer, to charity, in the Third Franciscan Order, and to social commitment, as the founder of the Christian Workers’ Movement. In 1972, his remains were removed from a tomb in Our Lady of Lourdes Church in Sean McDermott Street, Dublin, in the area where Matt spent his life. On Oct. 3, 1975, Pope Paul VI declared him “venerable”, with the decree recognizing his “heroic virtues.” Now the news is that Pope Francis, arriving in Dublin today, Saturday August 25, stopped here to venerate the chain found under the clothes of Talbot when he suddenly died of a heart attack, at 69, on his way to Mass on Trinity Sunday, June 7, 1925. The chain was a sign of devotion and penance. How well known is the place where we find ourselves now, the Shrine of Matt Talbot? It is really well-known in the [United] States, England, and in some parts of Australia. 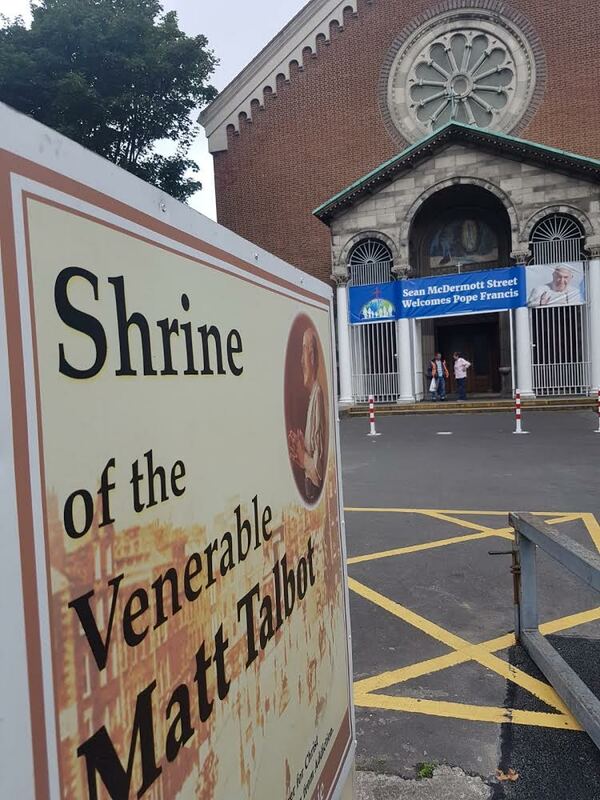 Saint John Paul II had great devotion to the venerable Matt Talbot, and he wrote a little booklet on the life of Matt Talbot and he had great hopes that he would be able to canonize him. Also Pope Paul VI, when still a cardinal, he came to Dublin and visited the grave of Matt Talbot. He would be the Pope who made him venerable. Ireland is famous for its popular alcoholic beverages like beer, whiskey…. What can you tell us about alcohol addiction today? At the time of the Venerable Matt Talbot, between the 19th and 20th Centuries, it was unfortunately very common. Is it now? At that time, alcohol was the drug of “choice” for Matt. And that has been part of our history. Some have taken to alcohol to deal with life’s challenges and deal with life’s pain. It still is a challenge for us, our Irish society, but unfortunately there is not only alcohol, there are many other drugs on the market, at the choice of many people. So addiction is certainly a symptom of a deeper yearning and hunger, not only for spirits. And that is why the life of Matt Talbot gives us a lot of encouragement and hope for people. His life teaches us that when we have a hunger and a thirst, we need to understand what we are really searching for, what can satisfy it. And that is not alcohol or drugs. And Matt’s thirst, was for the Living God. 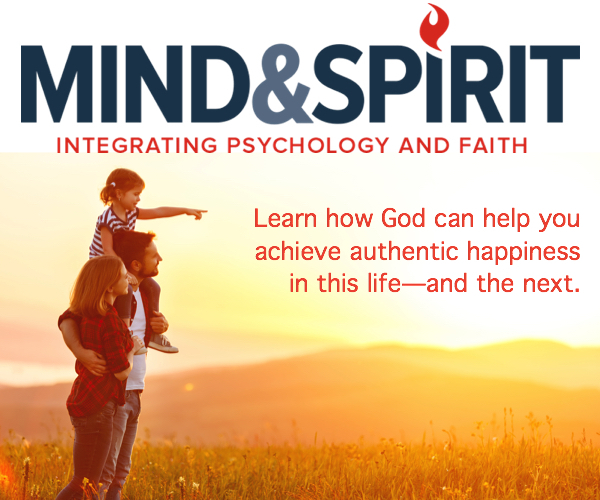 Is faith enough to overcome addictions like alcoholism? I think in fairness to Irish society and the government, I think they are trying to implement different laws to curb excesses of alcohol and help to have a different attitude towards it. We often say that we don’t see people drunk or overly intoxicated in other European countries, whereas here in Ireland we tend to binge drink, that has destructive effects on families and relationships. So it is a problem, an issue that we are very aware exists in Irish society. But it is a challenge, an open battle, an education, targeting young people, to help them to make more positive choices. What do you do to promote the knowledge and the devotion to the Venerable Matt Talbot? Are there any special activities? Our team here, well, we are the custodian of this church where his relics are. We are here mainly to welcome people, pilgrimages, give talks, promote through the website, and so on. One of the priests, Father Brian Lawless, is the vice-postulator. He, at a national level and the international level, is trying to promote the cause in different ways. What is the significance of Pope Francis’ visiting here? A visit here wasn’t part of the original plan, but I think the Archbishop of Dublin [Diarmuid] Martin, and Pope Francis himself, feel very much at home in this community, for it is one that has had its struggles, its own challenges, and has people of great faith. So I think they feel very much at home here. I think it has been a very symbolic gesture of him putting his feet on this sacred soil that is our home. It is something very special for us. We feel blessed by his presence and encouraged. According to the program, the Pope was scheduled to remain outside the Church, but given that Francis usually does not follow programs, were you happy that he came in to pray before the relics? We know, Pope Francis often surprises people… It was wonderful he decided to enter! Aware he had limited time available, we were planning to bring the relics of Matt Talbot out to him, to show him. They are very special relics: one is the chain that Matt Talbot used as part of a devotion to Mary. It became important because when he died and when he went to the hospital, the nurses saw the chain and they wondered who this man was. The other was the lovely cross which Matt used in his room. His room for him was a kind of monastic cell. Therefore, we were glad Pope Francis saw these, and that he found the wings to come and pray here!